Where is the Best Place to Sell Emeralds in NYC? 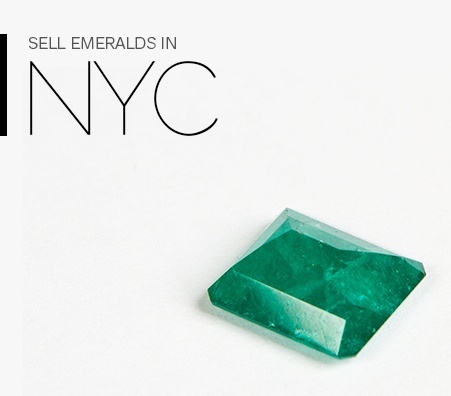 When you’re looking for where to sell emeralds in NYC, you need to know the places to avoid if you want the most cash. Although they offer quick cash on the spot, pawn shops and department stores can’t give you the full amount that authentic emerald cut stone is really worth. 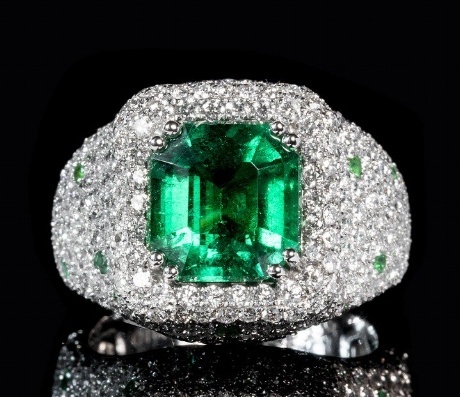 Similarly, auctions are a real gamble that may or may not get you what your emerald is worth. Auctions are convenient, especially if they are online since you don’t have to do the price negotiations yourself, but they also rack up heavy service fees. Your best bet is to sell your gemstones for cash to a private jewelry dealer, and the top ones are situated in the heart of NYC’s Diamond District. Selling emeralds for cash is easy, but selling for the highest price? Now, that takes a little bit of research. Whether you're selling an emerald gemstone ring or emerald cut stone, look for a dealer with a longstanding history, certified scales, and free appraisals. Be sure to shop around and compare offers, so you’re guaranteed the highest payout! Looking For Emerald Buyers In New York? If you want to sell gemstones for cash, NYC is the place to do it. New York City is especially known for its skilled and respectable jewelry buyers. It is home to thousands of jewelers specializing in trading precious gems and metals. If you’re looking to sell emeralds, NYC is the place to be, with plenty of reputable emerald buyers in New York for you to choose from. Where Is There A Good Emerald Buyer Near Me? 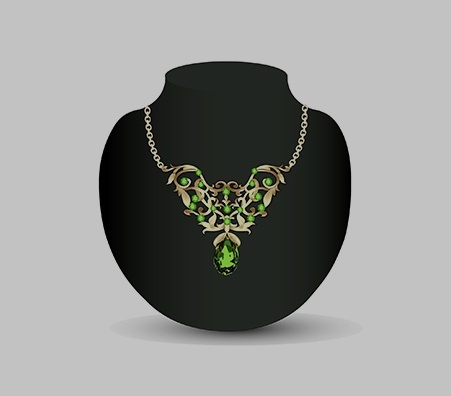 Run any tests on the authenticity and weight of your emerald jewelry in front of you. Hold a good standing within their jeweler community. Have scales and other measuring equipment that are certified by NYS and are calibrated to meet industry specifications. With over two decades in the jewelry business, we owe our longevity to the honesty and trustworthiness of our business model. If you’re selling emeralds in NYC, all you have to do is take a look at our satisfied clients to know that we’re concerned about the customer first and foremost. We offer a friendly face, honest advice, and a secure facility for your valuables. What Determines the Price of Emeralds? 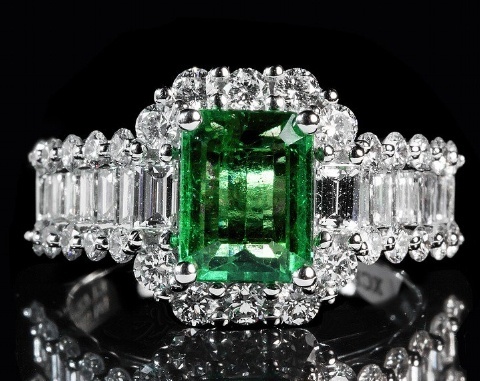 There are many factors to consider when pricing an emerald. Emerald buyers in New York will want to see where the gem is from, when it’s from, the quality, etc. Fortunately, as with other gem assessments, all these questions fall under a simple grading system known as the 4 C’s. What are the 4 C's and How Do They Affect the Price? When it comes to color, there are two factors to consider. Tone, which is the hue of color itself - typically the darker the better. And, saturation which is what gives the emerald it's intensity and strength - the more saturation the better. An emerald’s carat refers to its size and weight. A carat converted into the metric system equals roughly 0.02 grams. Unlike with diamonds, some experts will say a small emerald of better color quality is more valuable than a large emerald with poor color quality. 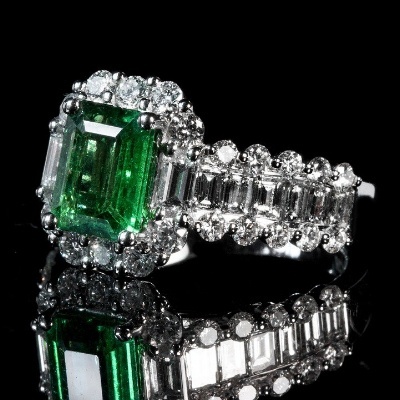 When selling emeralds, you will often see the term in connection with emerald price per carat. The cut identifies the shape of the emerald. 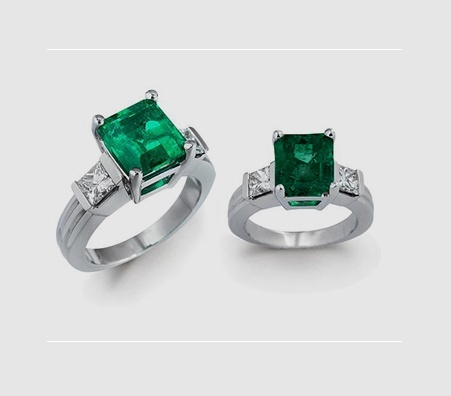 Emeralds are typically cut symmetrically with uniform facets to bring out the most color and brilliance. 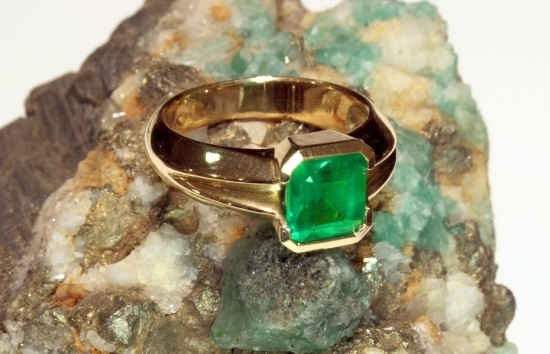 When looking to sell natural emeralds rings or other pieces of emerald jewelry, be sure your gem really is emerald! Many sellers confuse peridot for emerald because of the likeness in appearance, but the two are very much not the same. Peridot is worth less than emerald and can be identified by its lighter green color and its hardness of 6.5-7. Emerald has a darker color and solid hardness of 7.5-8. Study the differences and know which gem you have before selling! What is the Difference Between a Colombian, Brazilian, & Zambian Emerald Stone? 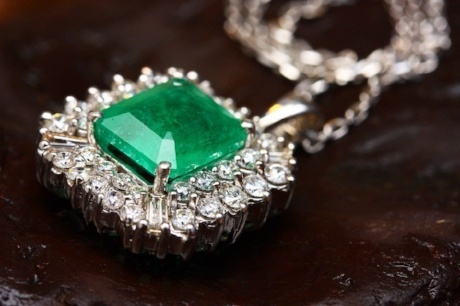 Emeralds from different locations fetch different prices when it comes to market value. If you have an emerald, chances are that it comes from Colombia, Brazil, or Zambia. Luckily, emeralds from all these areas bear a high worth to cut emerald stone buyers and rough emerald buyers. 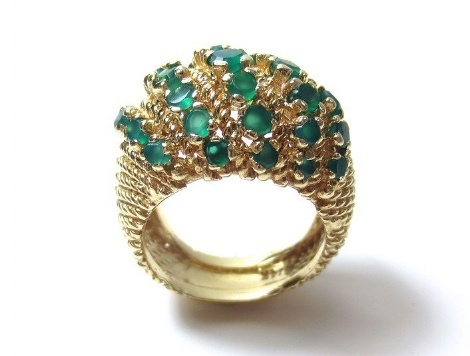 Colombian emeralds are most identified by their fine leafy, bluish green tone. 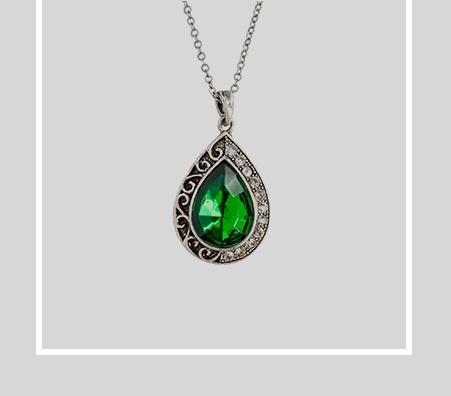 An easy way to check whether your emerald is from Columbia or not is the ‘oil drop test.’ Simply shine a light on the gem. 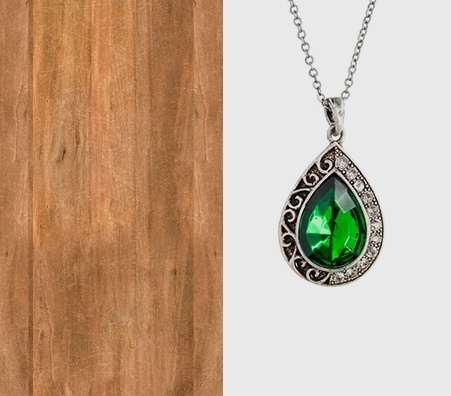 If you notice oil drop-like patterns on the stone, you most likely have a Colombian emerald. These gems tend to fetch the highest price. 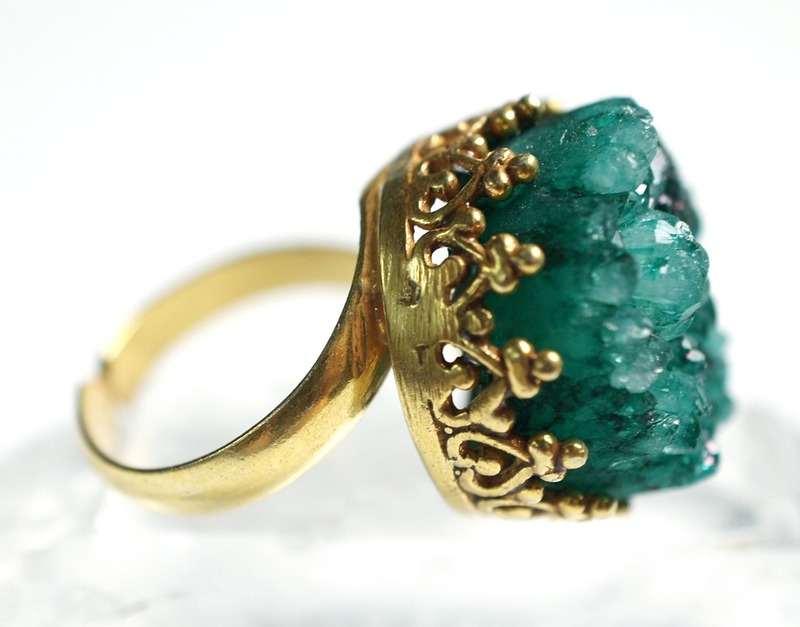 Brazilian emeralds are distinct in their slight brown or gray cast with a mainly green hue. They tend to be priced halfway between Colombian and Zambian emeralds. Zambian emeralds are sea green with a slightly bluish shade. Because Zambian emeralds have less inclusions, they tend to be more transparent. These will often fetch the lowest price of the three. Why Should I Sell my Emerald Ring? It's tough to know whether or not to sell an engagement ring, or to get rid of that one ring that doesn’t suit you. 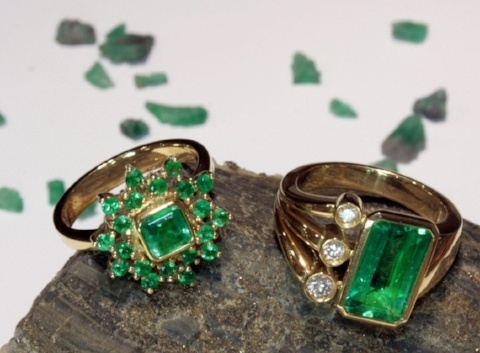 Fortunately for you, emerald rings are always a valuable commodity, no matter the cut. Some emeralds even cost more than diamonds. Whether you have a princess style stone or a round one, if you’re in any of the five boroughs and want cash for your emerald ring, the options can seem endless. If you’re having trouble deciding where to go, visit the Diamond District in Manhattan, where you can get your ring appraised for free and see what it's worth. If you aren't ready to sell it, no problem, but if you are, get ready to leave with a nice sum of cash. How do I Tell If my Emerald is Fake? Place your emerald under a magnifying glass. If you don’t see inclusions or "flaws"within the gem, you almost certainly have a fake one. Nature is very random in its ways and the chances that a real natural emerald is completely clear is slim to none. Hold your emerald up to the light and see if it sparkles. If it does, that means it is likely fake. Unlike diamonds, emeralds do not sparkle. Hold your emerald completely under water for a few seconds. Take the emerald out and turn it to its side. If you notice anything that looks like layers inside the gem, it is likely fake. The layers will look like alternating green and colorless levels. This is a common method of creating fake stone. Synthetic, or man-made, emeralds are made in a lab and are identical in appearance and chemical composition to their natural counter parts. The only difference is that they're worth less. 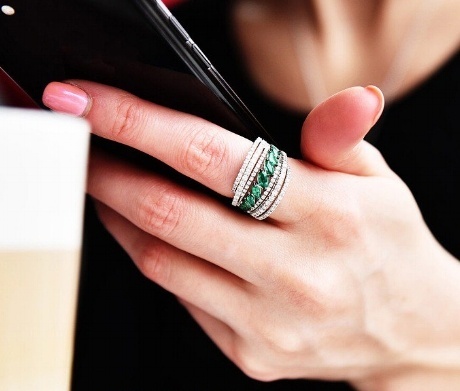 So, a natural emerald ring would cost more than a synthetic one. 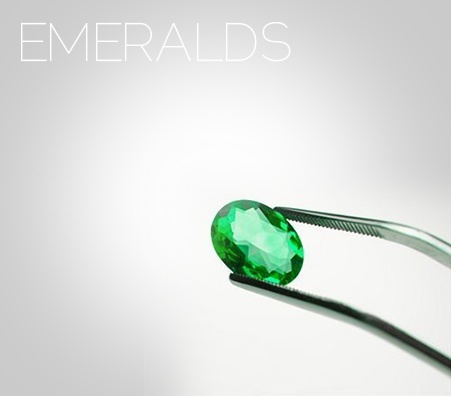 It’s important to note, however, that synthetic emeralds are not the same as ‘fake’ emeralds. 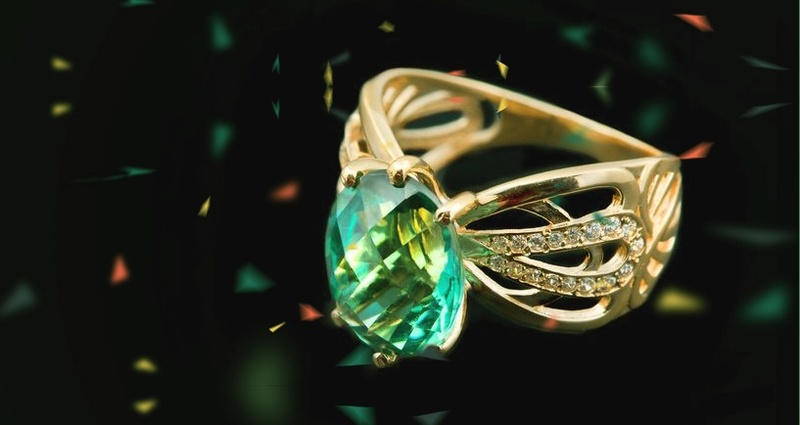 Luckily for you if you’re the owner of some synthetic emeralds, they are actually some of the most expensive of the synthetic gems. In other words, even synthetic emeralds are worth a nice sum. Emerald vs. Diamond – Which is worth more?When it comes to price per carat, emeralds can sometimes sell for even more than a diamond. It all comes down to the grade and quality of your gem. Do I Need a GIA Report to Sell my Emerald? While it's not necessary to have a GIA report or any paperwork when selling your emerald, it's certainly wise to provide as much information on your precious gem as possible when you are ready to sell. Having a proper report gives you an idea of how much your gem is worth and tells emerald stone buyers exactly what kind of gem you have. What is the Typical Appraisal Process? A typical jewelry appraisal process involves weighing your gem, testing the authenticity, and conducting an overall close inspection. Weigh: Your jewelry will be weighed on a professionally calibrated scale. Test: The appraiser will test the emerald’s authenticity with tools such as black light or support filters. You will then be given a comprehensive estimate of your emerald price per carat based on all the tests and assessments done.